Two of the biggest sailing events in Cornwall take place this month and, with lots to see and do on and off the water, there is something for everyone to enjoy. Witness the buzz and excitement of hundreds of sailing boats racing - starting with the Henri Lloyd Falmouth Week (6th – 14th August) and continuing with the Fowey Royal Regatta (14th – 20th August). With plenty of places to watch the spectacle, they are a must see with races taking place daily. As well as sailing, there is a lively programme of shore side events in both Falmouth and Fowey including carnivals and parades, live bands, entertainment including themed parties, the Animal Mountain Bike Display and spectacular fireworks. The highlight of both events is an amazing display by the Red Arrows. Taking to the skies above each town, they are a sight to behold darting and somersaulting over the harbours cheered on by crowds on land and sea. 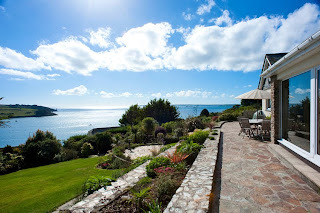 For those seeking self-catering accommodation during Falmouth Week, Cornwall's Cottages are offering Stargazers, a luxurious house that sleeps 10 in St Mawes. With stunning views out to the bay, this property is perfect for watching the sailing in St Mawes and has easy access to Falmouth either by car or passenger ferry. A week’s stay from Sunday 7th August is £3499. For more information please visit Cornwall's Cottages or call 01872 264441.